There was a variety of traction equipment running at the open house. 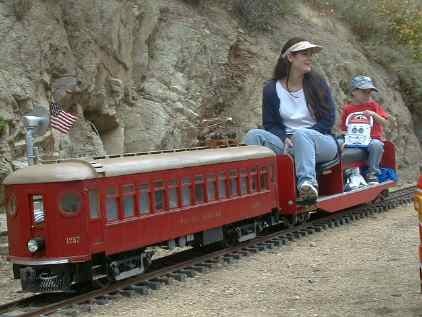 The Pacific Electric Red Car is owned and operated by Terry and Robbin Lynn, LALS Members. Robbin is the motorman with her daughter riding as a passenger. This pair if PE steeple cabs was running MU. The set is battery powered. 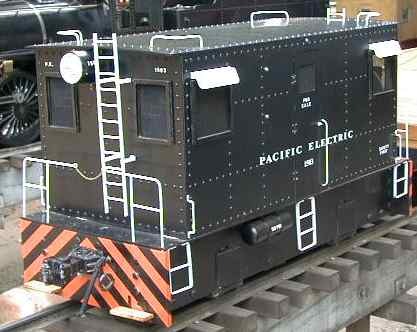 The model of a PE boxcab was static during the time it was there. I was told it was battery powered.